Immaculate home built by Tamarack, set on a quiet street in Woodhaven. Offering over 3,400 sq/ft of finished living space, walkout lower level and loaded with upgrades! 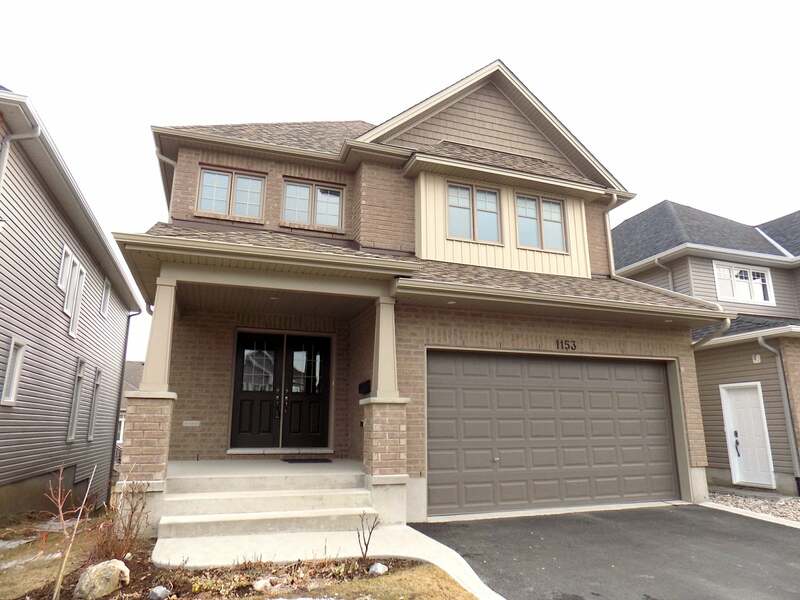 4+1 bedrooms, 3.5 baths and tastefully designed with beautiful hardwood and tile throughout the main floor, stunning kitchen w/upgraded cabinetry, granite counters, canopy range hood, pantry and huge island w/extended breakfast bar overlooking living and dining room with gas fireplace, pot lighting and crown mouldings. Main floor den plus laundry/mud room to garage. The hardwood staircase leads to 2nd floor w/4 spacious bedrooms including master with walk-in closet and stunning 5-piece ensuite w/tile & glass shower, double sinks and roman oval soaker tub. Hardwood staircase to fully finished lower level with 9ft ceilings, walkout garden doors and huge bright windows featuring rec room, bonus room w/closet, engineered hardwood flooring and 3-piece bathroom w/tile & glass shower plus additional laundry room. Fully fenced rear yard with storage shed, 2 decks and nicely landscaped. Main floor appliances included, balance of TARION new home warranty, 200 amp electrical, central vac, central air, garage door opener and much more! Just steps to the neighbourhood park, this home is a must see. Lot Size 38 x 104 Sq. Ft.